How to give teachers background in the Holocaust to inspire their own teaching of it? 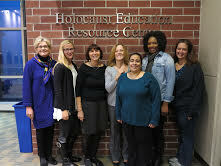 Dr Harriet Sepinwall at the College of Saint Elizabeth in Morristown, New Jersey, uses Sir Martin’s book The Holocaust, to train teachers on the Holocaust. Read the responses of these teachers …. “As an arts educator committed to interdisciplinary learning strategies and the use of performance as a tool of advocacy, this text has been vital to me. Its vivid narrative structure makes the content transferrable to any subject. Teachers will be able to clearly communicate accounts about the Holocaust in detail and students will in turn have a more concrete understanding of the psychological and physical effects that this atrocity had on its victims. “Martin Gilbert has given a face to the victims through the stories told in the book and his superior writing. As a mother of two girls under three years of age, I am super sensitive to the recounts of children. Many times I have wanted to skip entire pages because I am sure I know of the impending doom to come. Gilbert makes me persevere. I have to continue because I will not allow a survivor’s words to be lost on me. I will not be the person who is unable to read the horrific events that one lived through. I feel like I have gained a badge of courage with reading each experience. From Professor Sepinwall to her students: “While at times it may have been daunting to have so much to read, do, and process, it was quickly apparent that using Gilbert’s book as one of the main resources for our course was the best choice for us. Your comments in class and your own writing demonstrated that you gained so much from Gilbert’s work that included well-documented survivor testimony. The Teachers: Dr Langan teaches Contemporary Genocide; Dr Sepinwall teaches the History of the Holocaust in the College of Saint Elizabeth Graduate Certificate Program in Holocaust and Genocide Education; all students are high school teachers in New Jersey, except Meghan McNamara who teaches writing to 7th graders (age 13).